New release December 7th 2014. This is the new cd where John Waite is working on these weeks. We are exited and awaiting so much more ! "Started in on new songs. Back in studio on Monday to start part 2 of next years releases. I think I'll go full out till mid dec then stop. Songs are coming right and left. Winter is in the air. It's always easier to write in winter. This is good !!!!! Inspired !" "finishing up tracks in studio. Mastering and okaying artwork and ads. I worked with some great people on this one so it wasn't like work although I would wake up in the middle of the night convinced I'd got it wrong. It's always the same! There will be odd bits of sound bites and photos along with artwork onJohnwaiteworldwide.com in the coming weeks. Check in there and check it out!!! Best J." 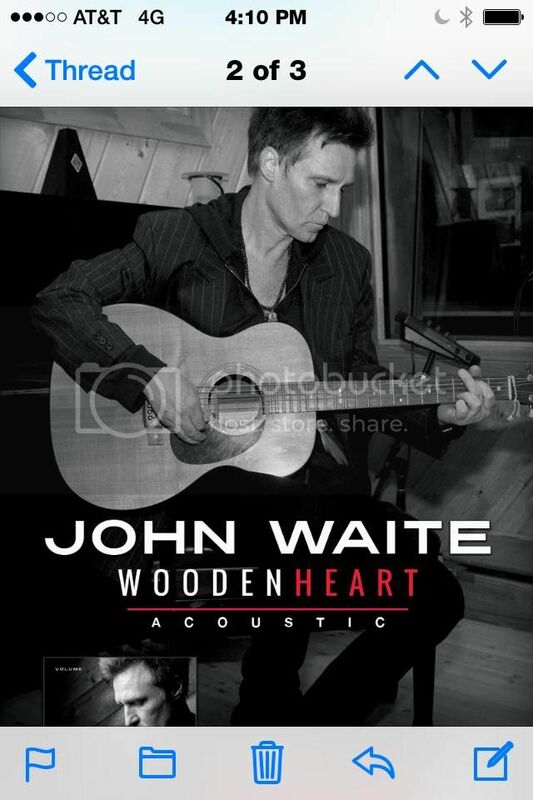 John Waites new EP WOODEN HEART Acoustic Volume 1 will be available for purchase on CD in the official store on December 7th and digitally via iTunes . 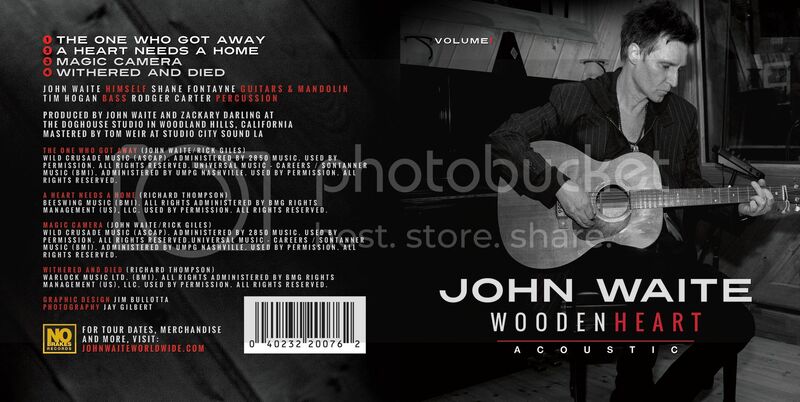 Produced by John Waite and Zackary Darling at The Doghouse Studio in Woodland Hills, California. Mastered by Tom Weir at Studio City Sound LA. Graphic Design: Jim Bullotta, Photography: Jay Gilbert.